Yj Image Slider is the most flexible Joomla 1.5 and 1.7/2.5/3.x image slider that you can find. It can adapt to any website and any content type. It has the ability to switch from a simple image slider to a complex video or image gallery within seconds. 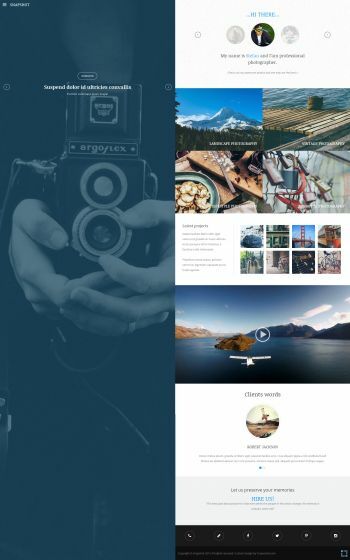 Combined with MediaBoxAdvanced this image slider is all you need to present your favorite images and you can quickly transform it in to; videos gallery ,banner rotator, news slider, image gallery ,image slider. All CSS properties can be overwritten by your template and this way you can place your intro-text and descriptions where ever you like without editing default module CSS styles . Please note that v4.0 is for Joomla 1.7 and up! Load up to 20 slides! ( double than any previous version). Multiple slide transitions ( fade , scroll , scrollfade). Slide items vertically or horizontally. Responsive Joomla Images Slider . New! Touch friendly Image Slider. New! Show or hide Thumbnails belt. New! Position Thumbnails belt vertical or horizontal. New! Upload images from module manager. New! Disable/Enable any part of the slide ( tooltips, intro text , description, title ). New! Any width or height adjustment. Plenty of parameters to adjust with detail tooltip instructions for easier editing. Turn off or on slides on page load. Show or hide pagination links. Show or hide navigation arrows. Show or hide slide intro text. Show or hide slide description. Run unlimited module instances on same page. New! Order slides randomly or by slides ordering. Use multimedia box links for videos. Use multimedia box links for images. Use simple links to any internal or external page or content. Use slider as image gallery, banner rotator, video gallery, image slider , news slider. 08.10.2009 - version 1.0.0 * Initial release.